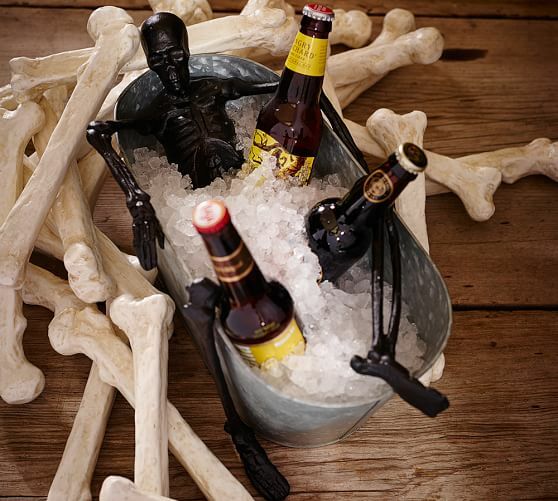 Pottery Barn has their Halloween decor in stores already, and the skeleton offerings are spine-tingling as usual. 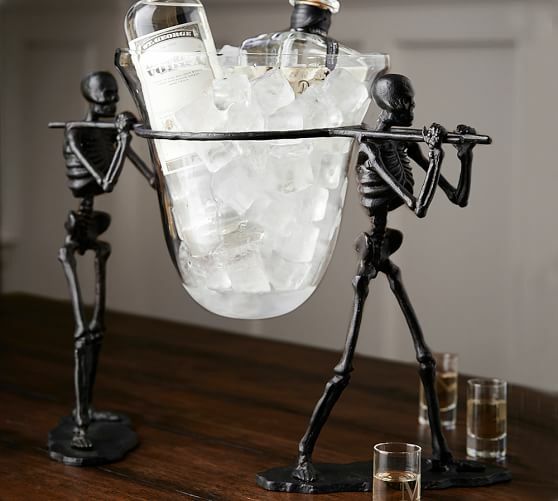 Love this drink cooler. 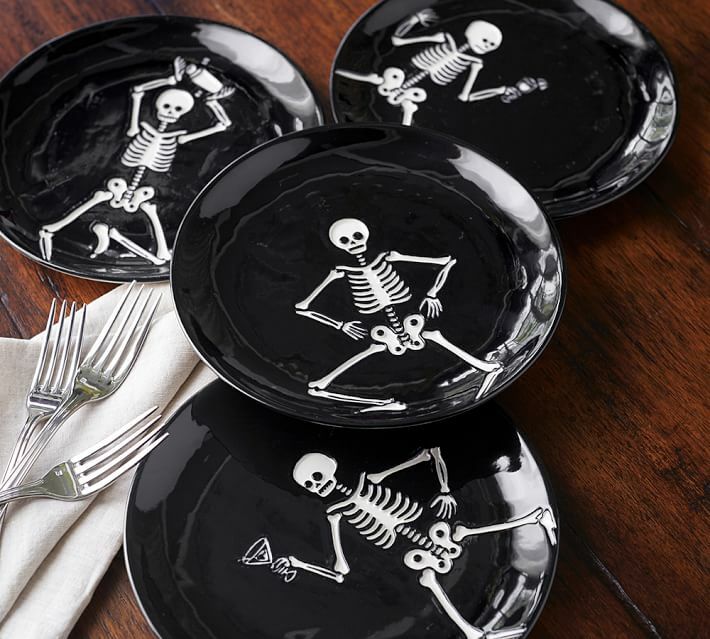 But my absolute favorites are the dancing skeleton party plates and platter. It reminds me of the dancing skeletons in the Disney cartoon, Silly Symphonies. I can't decide between the plates or the skeleton carrying serving bowl. Both are so cool! 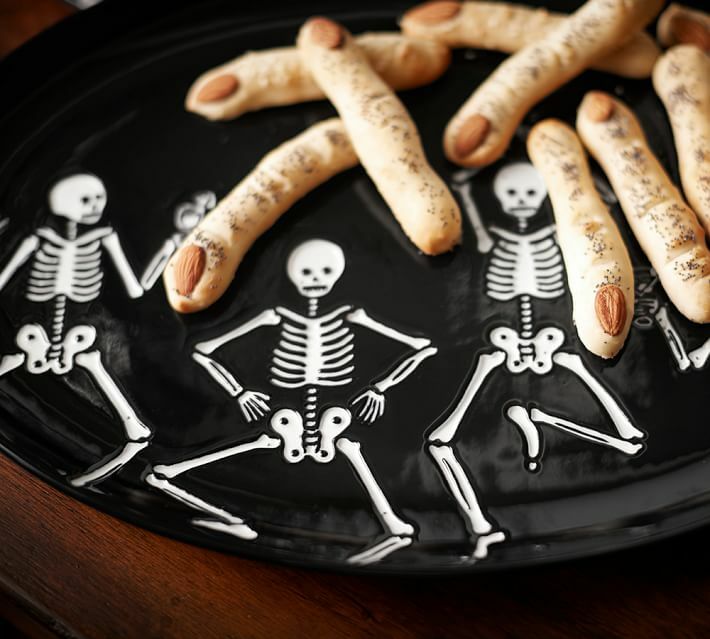 One of the best things about fall is getting the Pottery Barn and Pier One catalogues with all of the Halloween goodies. 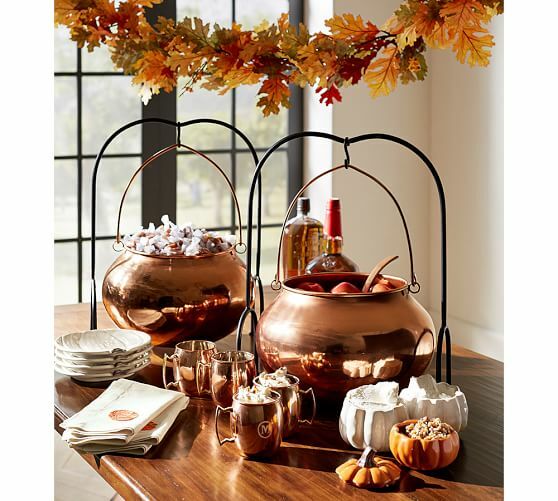 I love everything here, and generally treat myself to something new each year. This year I chose a selection of pillows. I love both of those places too! I'd love to see which pillows you picked out.